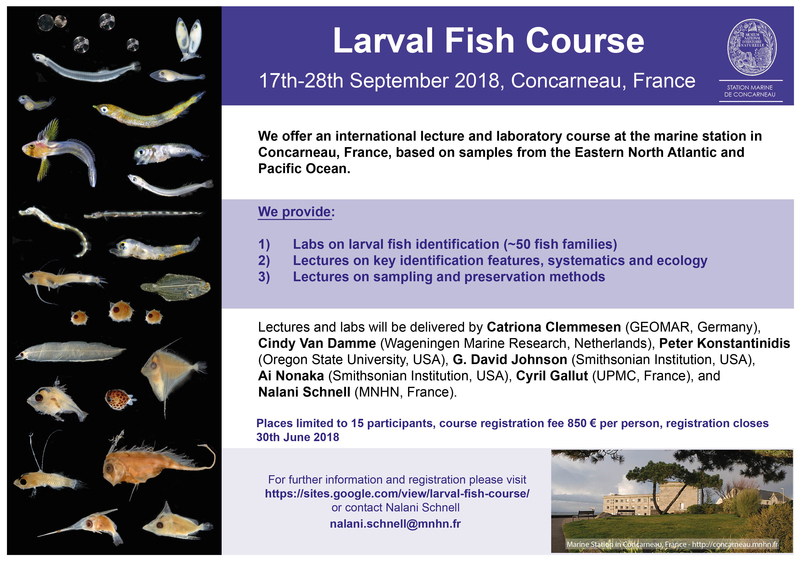 The Marine Station in Concarneau, France is offering a two week larval fish course from the 17th to 28th September 2018. Lectures will be delivered by Catriona Clemmesen, Cindy van Damme, Peter Konstantinidis, David Johnson, Ai Nonaka, Cyril Gallut, and Nalani Schnell. Read their flyer here.